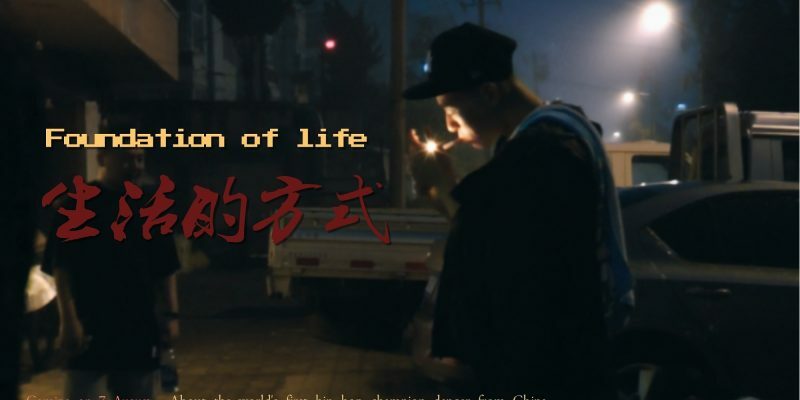 Foundation of life depicts the art world of a 37-year-old champion hip hop dancer from China. He began street dancing when he was 12. 25 years since then, he has founded hip hop dance in Beijing, launched the earliest and most famous dance crew in China, won three champions at an international competitions, but also, defeated by a 12-year-old budding dancer, split with his early dance buddies, dismissed from the hip hop rap band he joined. Now he’s even more energetic, touring cities teaching new generation of dancers and promoting his idea that street dance should be fused with Chinese traditional cultures. He has been shunning away from personal life topics, but very talkative when it comes to his art creating and how much he hopes the old cultural and artistic forms be picked up again by millennials. So, leave his private life aside, let’s ask dance. Hi! I'm Yixuan Liu from the Breaker, an aspirant for photography and dance.